If you do discover evidence of Superfish on your computer, take immediate action to start reinforcing your security. Change your passwords, contact your bank to check for unauthorized activity, and call Digivie at (613) 277-2312 right away. We’ll help you remove all traces of Superfish from your laptop and install a clean version of Windows with no adware or other security threats built in. We’ll also ensure you’re using the right security products to stop unauthorized access and keep your vital data backed up in case of disaster. Lenovo has lost a lot of consumer trust with this scandal, and it makes it difficult to know who you can turn to for safe and reliable information technology. Digivie is your guide to the murky waters of IT. 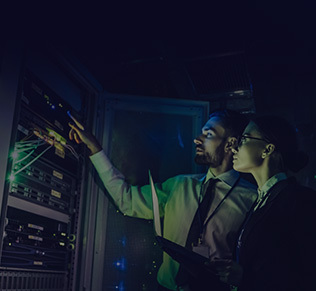 Our Ottawa managed services include vendor management and connections to help you procure the right equipment for your needs without worrying about preinstalled adware or potential security threats. Stop worrying about whether you’re at risk from companies that don’t have your best interests in mind. Contact our team at (613) 277-2312 or info@digivie.com to discover the right IT at the right price, for the right reasons.